Going into debt when purchasing a vehicle or a home can be overwhelming. It may feel as if you are signing your life away with all of the documentation that must be read, understood and initialed or signed. Bringing a friend with you who has no vested interest in your purchase can help you keep a clear head and be aware of all legalities involved in the sale. This is particularly true for home buying or car loans in O’Fallon. When negotiating with the sales professional, take notes about agreed-upon items such as trade-in value, additional fees, interest rate, etc. Don’t rely on your memory or the word of the sales person at the dealership. Closely read the final contract before signing – several times if necessary. Make certain that all fees match your notes. Allow your friend to read it, as well, to be sure that you do not overlook anything. Once the contract is signed, there is little opportunity for changes. Do not allow yourself to be pressured into acting quickly. Feel free to walk away. Trust your instincts. 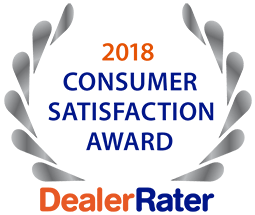 For honest and reliable sales staff, dependable used vehicles at affordable prices and competitive car loans in O’Fallon, look no further than 5 Star Auto Plaza. We have options for all price ranges and any credit history. For questions, call us at (636)940-7600.